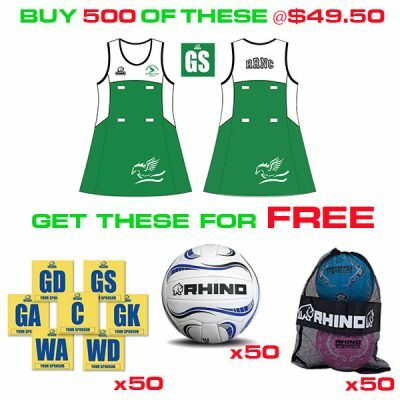 Rhino Netball is part of the game and understands the needs of the Netball community. 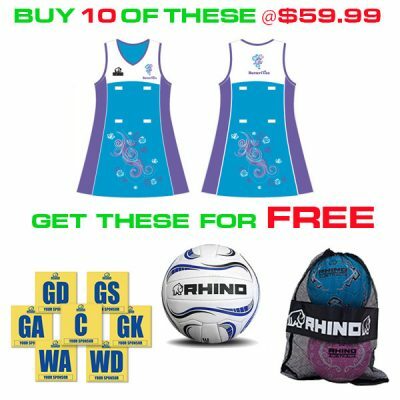 That’s why we are always looking at new and simple ways where we can ease the burden of those at the grass roots level. 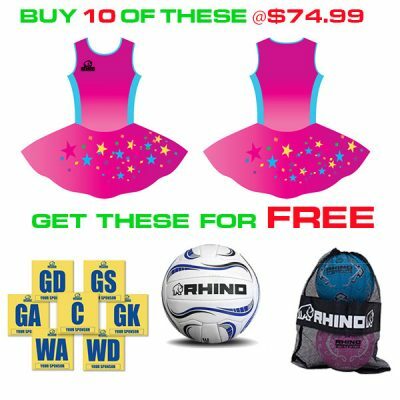 So we have come up with some new deals that provide your club or school with guaranteed SAVINGS on team wear whilst also rewarding you with FREE EQUIPMENT. 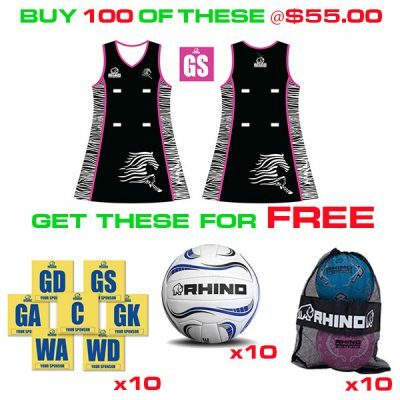 Discover examples of these incredible deals below and then call Rhino on 1300 556 112 or email sales@rhinoaustralia.com and we will be glad to discuss all your 2016 needs and beyond.